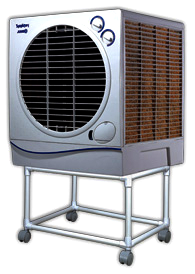 KSRealityBites: A breeding place for Aedes - Unclean Coolers! A breeding place for Aedes - Unclean Coolers! While the Dengue fever is on rise in the country, it's a notable point that we may 've to pay a heavy price for a little negligence if we don't clean our coolers & remove stagnant water from containers at home! Dengue has taken it's toll elsewhere in the country in the past few years, while several people 've died during this monsoon season. The home appliance Air Cooler could be a cause for several deaths if those would not be cleaned & water would not be changed regularly. Recently, many people were tested positive for chikungunya & Dengue in Jamshedpur & it's outskirts. The National Malaria Research Institute (NMRI) has set up a team to make people aware of the fever through its campaign in the Steel city since August 8. State Officer in charge of NMRI MK Das said that the pandemic diseases of chikungunya & dengue are linked to stagnant water in containers, air coolers at homes. Das said that the unclean coolers are a breeding place for Aedes mosquitoes that transmit dengue & chikungunya viruses. He said that 80-90% mosquitoes of the Aedes aegypti category are in the city & spreading the viruses. Also said that the ratio of Aedes aegypti is comparatively high for which the epidemic is spreading in urban areas like Mango, Jugsalai & Sitaramdera. He suggested keeping air coolers dry when not in use. Mr. Das said that spraying larvicide & creating awareness will help residents of the area to prevent the spread of virus. The team discussed with district health officials to make people aware of the prevention. The team is expected to submit the report to the union health department. They said that the fever out broke in the city due to unused stagnant water stored in many places, containers as well as the air coolers. Meanwhile, the National Institute of Virology, Pune, has reported 178 people were tested positive for chikungunya out of 308 blood samples. The School of Tropical Medicines in Kolkata has found two dengue cases in the city. Around 10K people 've been affected with the Dengue & chikungunya between mid July & August in the country.